Lady Gaga has some flashy boots to fill with her latest acting role in the third season of Ryan Murphy’s American TV series, American Crime Story. The “Bad Romance” singer is set to play the role of Donatella Versace, as the 10-episode series tells the story of her brother and fashion designer, Gianni Versace’s murder. Halloween is an exciting time for children (and some adults), with the prospects of going out at night, dressing up and collecting enough sweets to last until the Christmas selection boxes come out. But as always, with excited children comes concerned parents-no matter how old they get. Whether your children are just starting to go trick or treating or if they are off to their first house party, there are always things you can do to help keep them safe; here are some ideas. Will Lindbergh follow Leibovitz’s Pirelli revolution? One of the biggest announcements of the calendar year has finally arrived- who is photographing next years Pirelli calendar. 2017 is seeing the return of Peter Lindbergh to shoot the infamous calendar snaps. This is the third time Lindbergh has shot for the calendar making him the most used photographer for the company. For those of us who are at work, uni or college, getting to the pub before happy hour ends can be a bit of a task, right? But, like all Brits, we hate to miss out on the opportunity of a bargain (even if it’s not something we don’t really want). 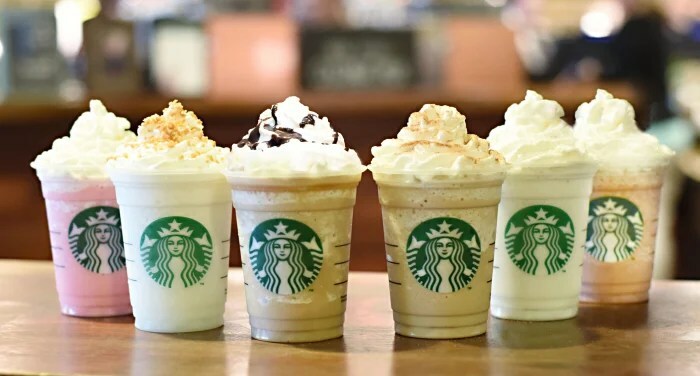 Now Starbucks have the answer to all of our problems: Frappuccino Happy Hour.